Home / غير مصنف / Avengers Infinity War Game of Thrones Peter Dinklage CONFIRMED: Who is he playing? 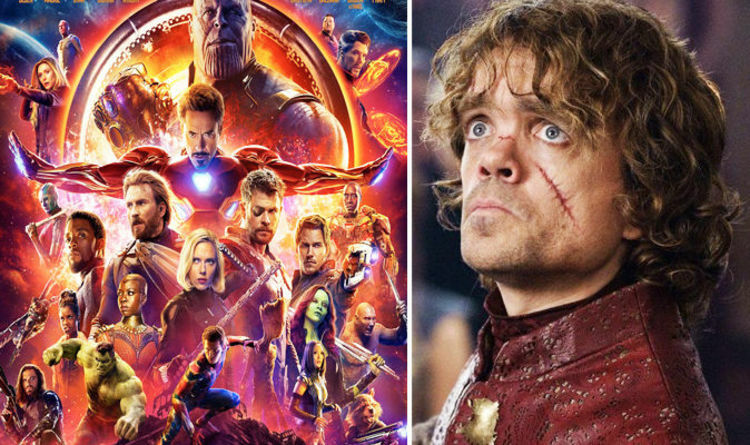 Avengers Infinity War Game of Thrones Peter Dinklage CONFIRMED: Who is he playing? Fans with superhero eyesight have spotted the actor's name of the latest promotional artwork. The Infinity War poster is loaded with the extraordinary castlist and tehfirst shock reaction was to the absence of Hawkeye aka Jeremy Renner. However, there is also great cause for celebration at the official inclusion of a brand new star. Dinklage's involvement in the Marvel Cinematic Universe was first rumoured all the way back in January 2017 but has finally been confirmed today. The leaked reports last year stated that Dinklage was set to play the mythical King of the Dwarves wh is linked to some of the most powerful weapons in the galaxy. Eitri is the powerful creature who forged Thor's hammer Mjolnir. He also created the Infinity Gauntlet and both were made of Uru. As is Jarnbjorn. The previous trailer already showed Thor embarking on a mission with Rocket Raccoon and Groot. Another clip showed him opening the Solar Forge in the realm of the dwarves. This all leads to uru and thus to Eitri. Uru is one of the rarest elements in the Marvel galaxy and is also highly valued because it can absorb and store increadible amounts of magic and elemental power. Marvel fans already know that Thor needs a new weapon and he will carry Jarnbjorn in Avengers 3. There is only one place in the galaxy that can forge such an item and only one being capable of the doing the work. It looks almost certain that Dinklage will be playing the mighty king of Nidavellir. Another possibility would see a flashback or a scene related to the Infinity Gauntlet, involving Thanos and Eitri. Either scenario promises a thrilling cameo for the Game of Thrones star.